As a staunch Dynamos supporter, my heart bled profusely when I looked at the current Premier Soccer League log standing where Dynamos is fighting relegation. Dynamos Football Club popularly known as Chazunguza or Dembare is fighting relegation for the second time in Zimbabwe's football history. It nearly bundled itself during the Morris on Sifelani led chairmanship but alas the club survived. The current disturbing develeopments at the Glamour Boys is a cause of concern. Zimbabwean soccer lovers cannot talk of the country's football without mentioning Dynamos FC. One cannot talk of the ceremonial home of football Rufaro Stadium without mentioning Chazunguza. This is a professional football club based in Mbare Harare and was formed in 1963. The team once participated in the lucrative African Champions League and money spinning stages of the tournament. Dynamos quickly became one of the strongest soccer club in the country and could provide enterprising and entertaining football in the league. Since the attainment of independence in 1980 Dembare had become the country's most successful team, having won about 22 national league and 16 cup titles. Back in 1989 the club clinched the league title with 11 games to go and guess what, all the eleven matches were won. In 1998 Dynamos played against some of the toughest clubs in Africa the likes of Asec Mimmosa, Hearts of Oak, Esperance, Etoile du Sahel and Zamaleck. Dynamos used to be a hard nut to crack when playing either at home or away. It could provide a proverbial sucker punch to any local club which would pose a threat to its mission. Interestingly the media and thousands of soccer fans would start talking about the game a week before it kicked off. On the match day supporters from across he country would throng the stadium in their numbers just to get a glimpse of the warm up. Such kind of high profile games involving Dynamos would be assigned the best referees of the country such as Wilfred Mukuna, Tendai Bwanya and Felix Tangawarima just to mention a few. Those in the rural and remote areas where access to electricity was a problem would make sure that they buy PL9 batteries to connect power to their radios and listening live broadcasting from the then Radio 2 or Radio 1. 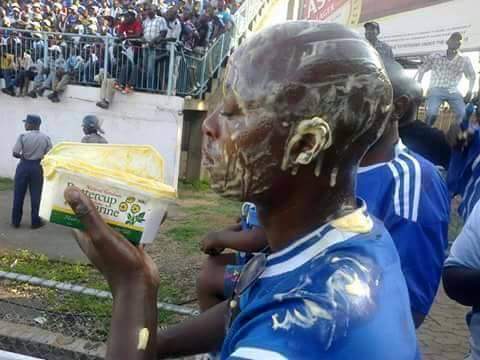 During that time if Dynamos had conceded a goal that is when the fans were treated to entertaining football. The club could showcase its skills to come from behind and salvage a win. The Glamour Boys were not push overs and they could fight till the end of the last whistle. The cheerful fans would not stop singing especially at the Vietnam stand. Losing a match was not an option. The management did all what it wa's necessary in order to keep the player's welfare and morale high and in return the players would keep focused on the game. Winning bonuses were paid in time as the club racked in thousands of dollars through gate takings. Is Lloyd 'Samaita' Mutasa the current Dynamos coach to blame in this puzzle or it is the management which has failed the club? Going back to the days when Callistus Pasuwa was fired, the management led by Ken Mubaiwa blamed the coach but he had won four consecutive league titles. How the mighty have fallen. Dynamos Dembare is clutching at straws and how is the club going to avoid such an inevitable embarrassment of their lifetime? What is the coach going to tell his players to do in their next match? I miss the old good days of Memory 'Gwenzi' Mwendamberi, Angirayi Chapo, Masimba Dinyero, Chamunoda Musanhu, Bheki Mhlotswa, Claudius Zviripayi, Vitalis Takawira. These players had passion of playing football and played with all their hearts out. Donning the blue and white jersey was not a stroll in the park at Dynamos. During the days of Morrison Sifelani the club hunted for the best players. This current leadership is somehow clueless and is running the club like a kindergarten school. It has destroyed the once vibrant team. As we speak Dynamos Football Club does not have it's own stadium and the club relies on the city council stadium for their home matches. It's a shame that such a big club which was formed more than 50 years ago could not build its own stadium whereas the defunct Motor Action and Amazulu had built their own stadia. FC Platinum was recently formed and owns Mandava Stadium. This is an area where the management could have invested so that they would have saved money to buy and scout for new players. The club leaders can change coaches every year but if they don't reform as a team they will always reap negative results. The team lacks a grand vision plan which can make the club a football powerhouse. As Dynamos relegation challenges continue to mount the management must at this juncture cannot afford to ignore or brush them aside. The last few games must be a turning point for the club.